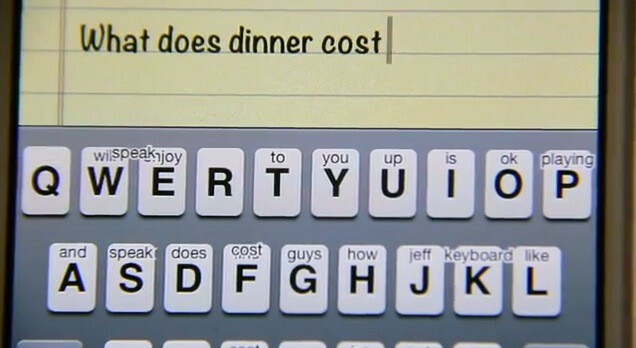 The new BlackBerry 10 keyboard comes to the iPhone long before RIM can bring it to BlackBerry. Back in May, shortly after Research in Motion’s BlackBerry 10 unveiling, iOS developer Mario Hros announced that he was working on bringing the operating system’s nifty predictive keyboard to our iOS devices with a tweak called Octopus Keyboard. It’s a little over a month late, but Octopus Keyboard is now available to download from Cydia. Like BlackBerry 10’s new keyboard, Octopus Keyboard adds a gesture-based predictive text system to the default iOS keyboard, which allows users to swipe specific keys to type frequently used words. For example, you will automatically be presented with words like “you” or “the” before you’ve even begun typing, and once you start tapping certain keys, those words then change. It looks like it might take a bit of getting used to — like any new keyboard — but once you’ve mastered it it’s likely to make typing on your iOS device’s virtual keyboard a whole lot quicker. Octopus Keyboard can be installed today by adding the “http://k3a.me/c/” repository to your Cydia sources, or you can wait for the tweak to hit the BigBoss repo that is pre-installed in Cydia by default. It costs $4.99 and you have the ability to register up to two devices per month. If you’re unsure about dropping five bucks on this tweak before you’ve even tried it, there is a demo version coming to Cydia soon.